Scenic guided day trips, overnight or multi-day packages available to explore the beauty and grandeur of Yellowstone National Park. Your "BEST ADVENTURE" starts at your door step! Wherever you are staying in the Jackson Hole area, the Town of Jackson, the Jackson Hole Racquet Club, or in Teton Village at the Ski Resort. Your Guide will pick you up at your lodging and transport you to our office where after checking in you will be provided with a hot breakfast. After breakfast you will be suited up with everything necessary for a warm and comfortable Adventure of Yellowstone National Park. Your guide will transport you north through Grand Teton National Park (where the scenery and wildlife viewing are exceptional) to Flagg Ranch. 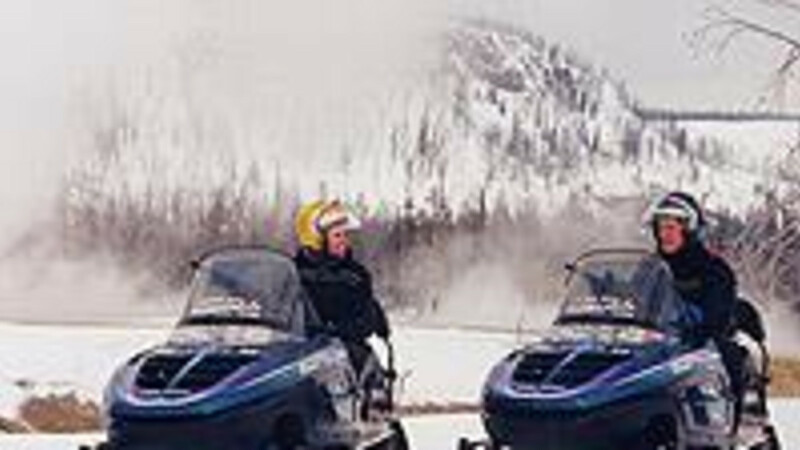 After an introduction and safety instructions we will enter the South Entrance of Yellowstone National Park where your snowmobile adventure continues. Our friendly, interpretive guides will show you the best of Yellowstone!